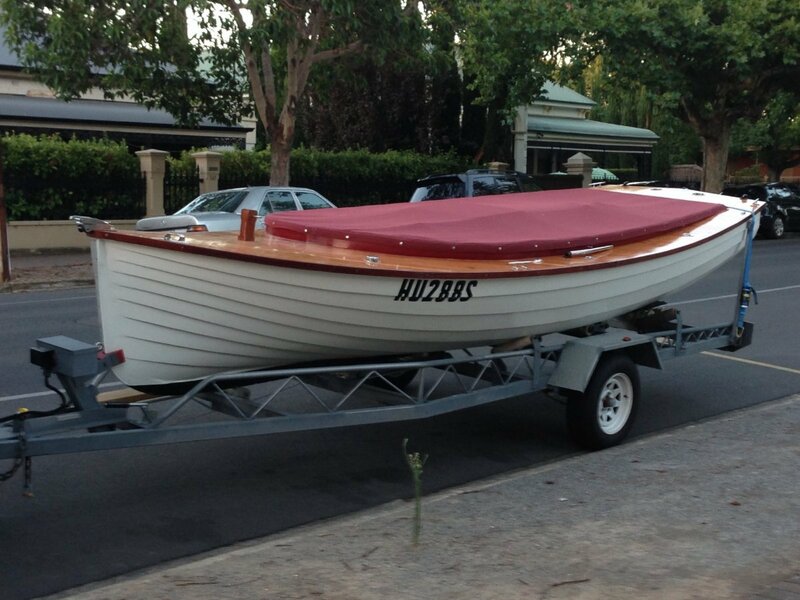 'Halcyon' A Gippsland Net Boat Built in 1956 using Kauri planking and spotted gum ribs, Oregon deck beautifully finish and well looked after complete with a solid trailer for easy transport and storage. You couldn't reproduce a boat of this quality and finish for even close to the money we are asking for her. Internally she has matching cushions she is a beautiful boat inside and out that has been gracing the lakes of Goolwa for many years. With the wooden boat festivals becoming such a big part of the boating calender she would be the perfect show peace to enter and enjoy. She is beautiful and practical she is a stable boat originally designed for fishing on the river and lakes. A beautiful boat for day cruising with the matching added bimini and dodger you are well protected from the elements.